Below are some numbers from the Minnesota State High School Clay Target League. We expect similar success in Wisconsin very soon! dollars estimated lifetime target shooting and hunting related expenditures ($75,359 from age 16) per the U.S. Fish and Wildlife Service’s 2006 National Survey of Fishing, Hunting and Wildlife-Associated Recreation and the Minnesota State High School Clay Target League’s 2013 Spring League participants (3,400). estimated targets and ammo used in the Minnesota State High School Clay Target League’s 2013 Spring League. targets thrown and shots fired for practice and competition at the Minnesota State High School Clay Target League’s 2013 State Tournament. page views on mnclaytarget.com in May. 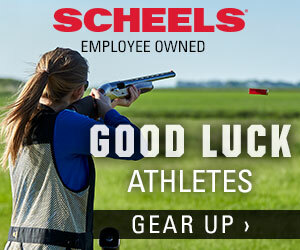 student athlete participated in the Minnesota State High School Clay Target League’s 2013 Spring League. year of the Minnesota State High School League as the first state high school athletic association in America to host a sanctioned trapshooting tournament with Minnesota State High School Clay Target League participants. student athletes that participated in the Minnesota State High School Clay Target League’s 2013 State Tournament. student athlete participants in the Minnesota State High School Clay Target League’s 2012 Spring League. student athlete participants at 2012 State Tournament in Alexandria. percent growth of number of participating student athletes since 2010.
coaches and volunteers that helped teams in 2013.
participating schools in the Minnesota State High School Clay Target League’s 2013 Spring League. high school teams in the Minnesota State High School Clay Target League’s 2013 Spring League. percent of participants use 12-gauge shotguns. Minnesota gun clubs hosting teams in 2013.
student athletes that participated in 2008.
percent of the Minnesota State High School Clay Target League’s 2013 Spring League participants who are seniors. percent of the Minnesota State High School Clay Target League’s 2013 Spring League participants who are females. 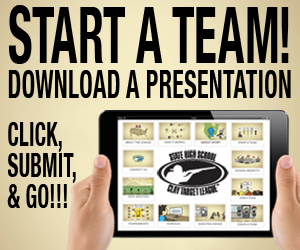 minimum number of team members for a team to participate in the league. high school teams in 2008.
sport that boys and girls participate on the same team with the same rules. reported injuries or school gun policy violations since 2001.